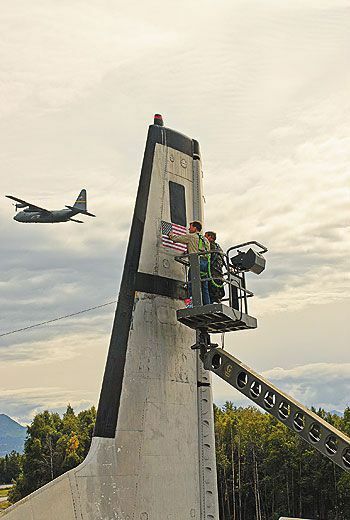 Readied to transport the first U.S. ICBMs, the Douglas C-133 had a peculiar habit. It kept crashing. They’d fly it again, if they had the chance. Among the group gathered at Delaware’s Dover Air Force Base, there’s a man for every crew station at the ready. They flew, maintained, navigated, and sometimes cursed one of the least understood aircraft in the history of the U.S. Air Force, the Douglas C-133 Cargomaster. In a conference room at Dover’s Air Mobility Command Museum, papers are shuffled—Where was that article from the base news? Smudgy documents, their margins trailing off the page from copy-of-a-copy-of-a-copy Xeroxing, are offered. A small stack of VHS tapes forms a centerpiece. The men, some slowed by age and ailment, chatter and argue. A clamor of “There I was” stories fills the room, accompanied by hand flying. Then, with quiet authority, Hank Baker, a retired C-133 flight engineer, holds his hand up, as if to take an oath. “Let me tell the story, please,” Baker says, silencing the room. The men defer. Baker describes his dogged negotiations to bring the C-133B from display at the former Strategic Air Command museum in Offutt, Nebraska, to the ramp outside, an effort that has made him a C-133 honcho at Dover. After his introduction, jackets are gathered; pants hitched up. We stroll outside in the chill rain to walk around the last Cargomaster to leave the production line. I can see why the crewmen are proud of it: the majestic tail, impressive expanse of wing, elegantly streamlined engines, and thin, rapier props. This is a serious lifter of missiles, trucks, tanks—anything, really. But when we come to the nose, the face is a surprise: a clown visage with a ridiculous radome. The C-133 was developed by the Douglas Aircraft Company at a time when the Air Force was in a hurry to deploy intercontinental ballistic missiles to bases around the country. The big turboprop, which first flew in 1956, had a cargo bay big enough to carry an Atlas or Titan ICBM, but to make loading them easier, Douglas modified the original design with clamshell doors to increase the size of the opening in the aft fuselage. Dover’s Cargomaster is parked next to its older, smaller cousin, the Douglas C-124 Globemaster. 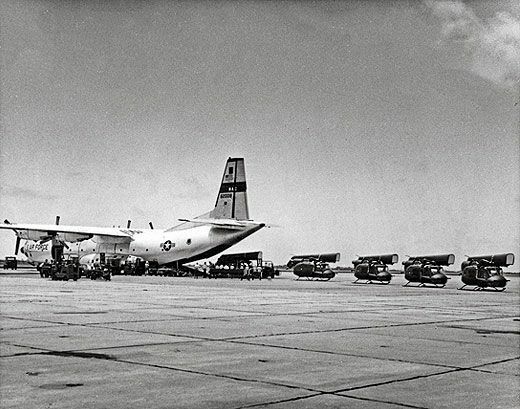 Many C-133 aircrew transitioned from the lumbering and unpressurized C-124, called Old Shaky by its crews and dragged aloft by four brutish Pratt & Whitney R-4360 engines—each a deafening whirl of connecting rods, pushrods, and 28 pistons the size of coffee cans. Baker and Sandy Sandstrom, a former flight engineer, fire up a diesel-engine external hydraulic power unit, and Sandstrom boards the crew ladder and disappears into the fuselage. Soon there’s a loud pop, and the rear clamshell doors slowly begin to part. They reach the end of their travel and stop with a shudder. We climb the aft ramp into the bay, and Baker recalls that often during fuel stops, a random piece of equipment—a truck, maybe an artillery piece—would appear at the back of the aircraft. Could it fly? “Our motto was, ‘Anything that’ll fit in the hole,’” says Baker. Sandstrom shuts down the ground unit, and the pitch of the big diesel engine spirals down. The shouting stops, and as the men resume talking, the discussion turns to what the crews who flew and maintained the big airlifter inevitably end up talking about. It was another cool Dover morning, April 13, 1958, when a four-man crew from the 39th Air Transportation Squadron rode the flightline van to C-133A tail number 40146. At 8:28 a.m., 40146 lifted off the runway behind what is today the museum hangar. The crew transmitted routine messages at 8:34 and 8:40. Three minutes later and 26 miles south of the base, the airplane fell inverted from the sky into Ellendale State Forest. 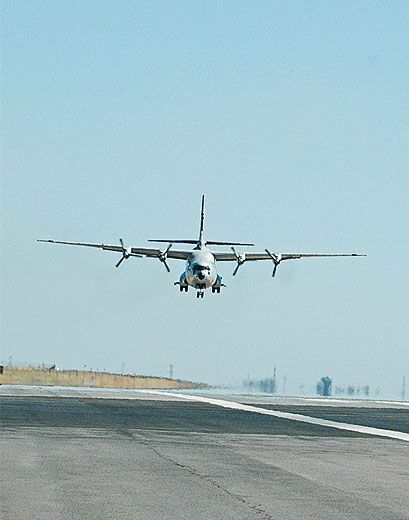 The Air Force grounded the C-133 fleet. It had been only 24 months since the first flight at the Douglas facility in Long Beach, California. Acquired under a new system of concurrent development and production, an Air Force attempt to limit procurement costs and delays, the C-133 program had no prototype phase; the aircraft had gone from drawing board to production line. 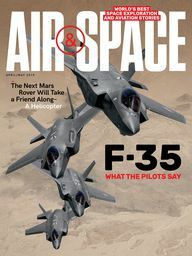 Although the first eight airframes underwent flight tests at Edwards Air Force Base in California, most of the testing coincided with aircraft deliveries to operational units. Modifications were made throughout the Cargomaster’s service life. A team of accident investigators assembled at Dover. Most of their theories centered on a nastiness the Cargomaster had exhibited during its earliest tests: The aircraft gave its pilots virtually no warning when it stalled. The buffet that accompanies a stall, which in most aircraft serves as advance notice, arrived in the Cargomaster almost simultaneously with the stall itself. Tests also showed that abnormal airflow over the horizontal stabilizers could render the elevators ineffective. In early 1957, a fix was incorporated into the eighth aircraft built and retrofitted on the previous seven: a horizontal “beaver tail” that extended behind the vertical stabilizer helped to keep the airflow over the control surfaces smooth and to counter the airplane’s tendency in a descent to tuck under. But 40146 already had those modifications. Why did it crash? 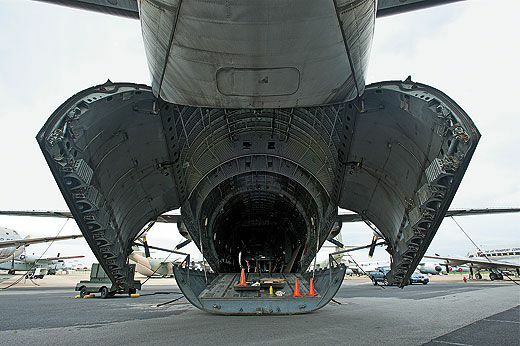 Although the investigators couldn’t report a definitive cause, they identified 17 deficiencies in the C-133’s control system that could have been contributing factors, and a team of Douglas engineers traveled to Dover to correct them. A month later, the airplane resumed operation, and all was well—for three years. The next two Cargomasters to go down simply disappeared during overwater passages. The first, an aircraft headed for Midway Island, and then home to California’s Travis Air Force Base, left Tachikawa Air Base in Japan one minute before midnight on June 9, 1961. Twelve minutes after a normal takeoff, followed by a routine radio call, it was gone. Less than a year later, on May 27, 1962, number 71611 departed Dover, then dropped from the radar shortly after the pilot reported passing through 13,000 feet. In the two accidents, 14 crew members died. But what if, on the next mission, you missed the Cargomaster’s whisperings? What would it feel like to be pinned against the straps, watching helplessly as the ocean filled the windscreen? Instead of a stall, Burnett believes the elevators were partially blanked out—much as the earliest Edwards tests had demonstrated was possible. 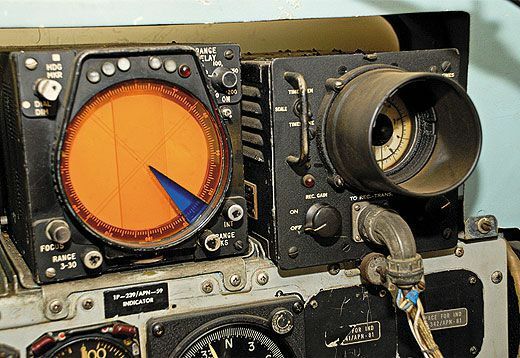 In fact, both cockpit airspeed indicators showed that the aircraft was operating well above stall speeds. “If you put the tail down into the turbulent flow from the wing, you lose elevator control,” says Burnett, who was a C-133 flight instructor and examiner. What would happen to a less experienced pilot—perhaps with only seconds to react? 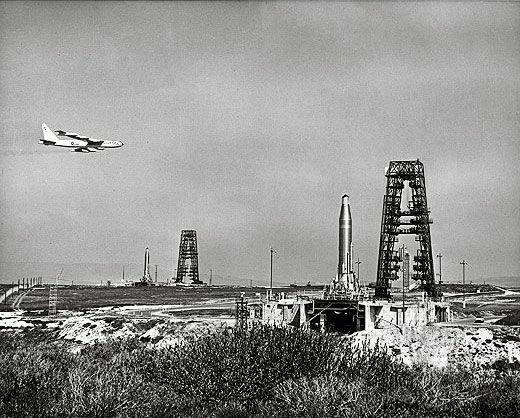 On April 10, 1963, the remains of another C-133 could be seen scattered across a field outside Travis. The mission had been a training sortie for two young lieutenant pilots. An experienced examiner pilot was in the right seat. One of the crew made a radio call acknowledging a runway change, the aircraft entered a steep turn, and then they were gone. Five months later, another C-133 departing from Dover disappeared over the Atlantic. That engine was the Pratt & Whitney T34, the only turboprop available at the time that could get an airplane as heavy as a fully loaded Cargomaster off the ground. During cruise, the engines ran at a constant speed. To vary the thrust, a governor inside the propeller’s nose case (located aft of the propeller blades) changed the blade pitch. When the pilot pushed the throttles forward to increase power, the governor angled the propeller blades to take a bigger bite of air. The mechanism in the nose case was in turn governed by a complex, electrically controlled system that synchronized blade pitch among the four engines. 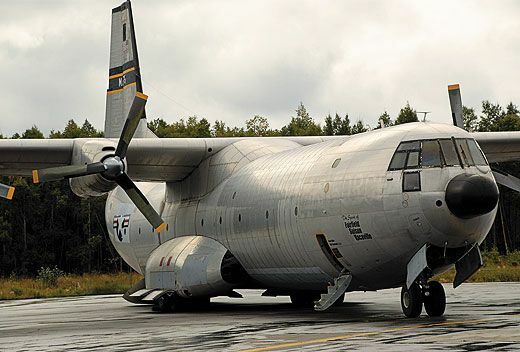 “You could have a prop malfunction, and a number of things could cause it,” says Ken Kozlowski, a former C-133 crew chief who served as chief mechanic and flight engineer on a privately owned Cargomaster that flew until 2008. 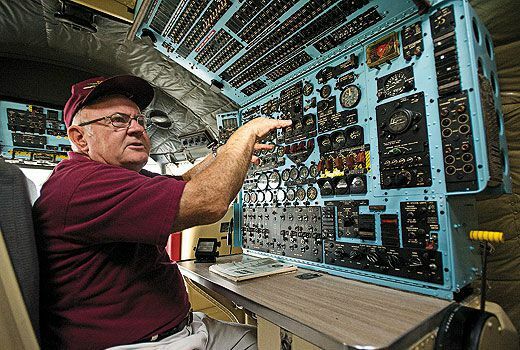 Through monastic devotion to understanding every system on the C-133 and by developing his own maintenance procedures, Kozlowski kept the civilian Cargomaster flying as a bush airplane—and slamming onto remote Alaska gravel runways—nearly 40 years after the Air Force let it go. Minute changes in engine performance, coupled with changes in altitude, airflow, or synchronization, kept the nose case mechanism constantly working to maintain optimum blade angle. At higher altitudes, the props had to increase pitch to move the same amount of air; at lower altitudes, the pitch needed to be reduced. 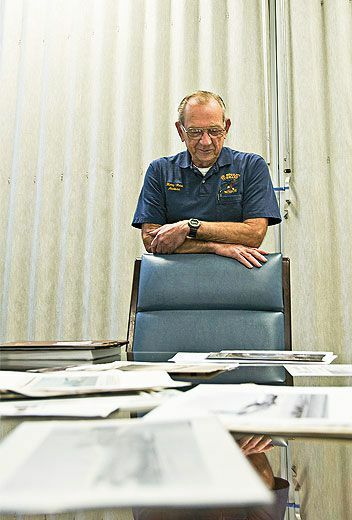 Thomas Kaye, who was an Air Force hydraulic mechanic stationed on Midway, remembers seeing Cargomasters arriving from Japan that had been four-engine transports on takeoff but had only three engines operating by the time they landed. Once, a C-133 showed up with only two engines. It had been able to stay aloft only because the flight engineer injected a water-alcohol mixture (a standard takeoff booster) when the airplane was threatening to head toward the waves. Propeller-system failures, along with the still-worrisome stall characteristics, were key suspects in two more crashes. After the second accident, the Air Force again grounded all the Cargomasters. Between April and August 1965, additional C-133 flight testing was conducted at Edwards. With Douglas engineer Roy Isaacs aboard many of the flights, the dangerous stall characteristics were confirmed, and investigators focused on how to prevent the Cargomaster’s now-infamous right-wing rolloff. Cameras trained on tufts installed on the wings clearly showed the right wing stalling before the left—in fact, the left wing usually didn’t stall at all. The way to keep the Cargomaster from rolling onto its right wing during a stall turned out to be depressingly simple. “What we ultimately came up with was a triangular piece of sheet metal that we put on the leading edge of the left wing between number-one and number-two engines,” says Isaacs. Called a stall strip, the modification disrupted airflow over the left wing and caused it to stall when the right wing did. The modification was made at Dover and Travis to all aircraft in the fleet. Test pilot “Skip” Johnson test flew every airframe to ensure the strips—which were first temporarily attached to the left wing—were in the correct position so that when the aircraft was stalled during a test, the left and right wings stalled simultaneously. As if to demonstrate that the Cargomaster would never reveal all its secrets, one Dover C-133 snapped into a violent left roll during a test flight after its stall strip was attached. Of the 42 C-133s left in the fleet, it became the only one to sport a stall strip on its right wing. Senior MATS officers then took the sum total of knowledge about the Cargomaster’s tendencies on the road. 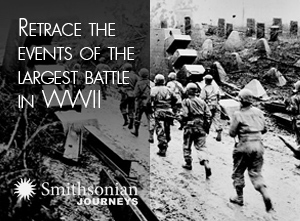 “They had a mandatory briefing for all aircrews in the base theater at Travis and at Dover,” Cal Taylor says. By the late 1960s, the stall strip and better aircrew training improved the airplane’s survivability. 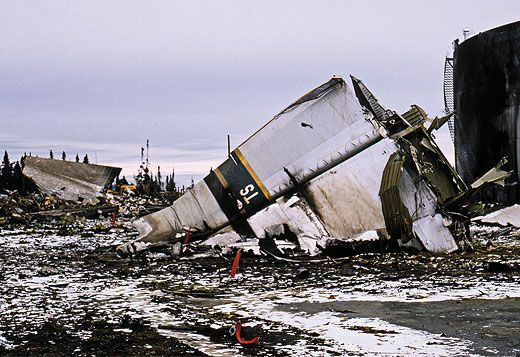 But because the propeller control system was still prone to fail, and airframes began to fatigue—a problem that would persist until the aircraft was retired in 1971—two more Cargomasters crashed. Once all nine crewmen had been rescued, they formed an exclusive club: the only airmen to survive a Cargomaster crash. After Nakagawa’s crash, one more Cargomaster fell. On February 6, 1970, a C-133B left Travis to deliver a Vietnam-scarred CH-47 Chinook to Harrisburg, Pennsylvania. After cruising at 21,000 feet and with clearance granted for a climb to 23,000, Cargomaster 90530 broke up in flight. The majority of the debris fell on a field outside Palisade, Nebraska. Roy Isaacs flew to Nebraska to help with the investigation. One day, standing on the stage of the town’s National Guard armory and looking at the wreckage that had been assembled there, he noticed something. “You could see all the jagged pieces, but here was a straight line by the side cargo door,” he says. Isaacs used a jeweler’s loupe to examine the edge of a long split about a foot above the side cargo door. Clearly, the metal had fatigued and failed. The crack had blown out a section of fuselage, which entered the arc of the number-two propeller. 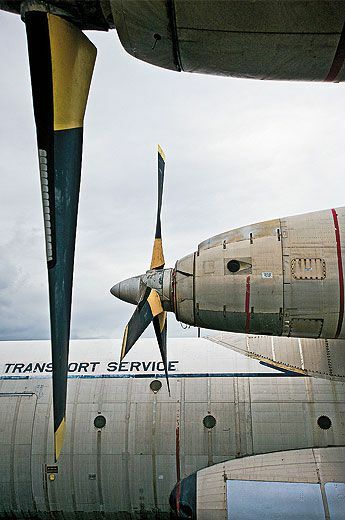 C-133 maintainers found fatigue a continuing challenge, especially because air coming off the near-supersonic tips of the propellers produced vibration. 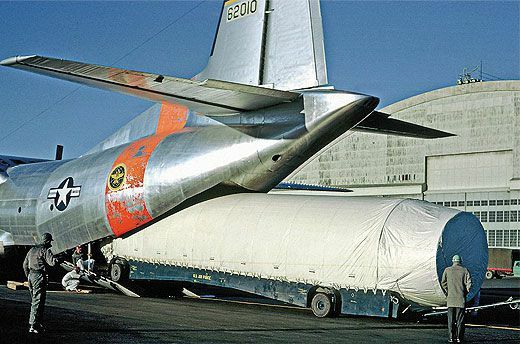 To prevent further airframe stress failures during the last 17 months of the Cargomaster’s service, ground crews attached 16 “belly bands,” four-inch metal straps, around the exterior of the fuselage. Was the Cargomaster dangerous? Ten had crashed, and 61 men had been killed. In 1964, the C-133’s accident rate per 100,000 flying hours stood at 2.7, while the C-130’s was 1.9. The overall Air Force rate was 7.7. The C-133 had supported operations around the globe, and was even trusted with transporting Apollo command modules after they returned from the moon. At Dover, Baker and his crew have pointed out unique features on the cockpit control panels and flight engineer’s station, the cargo compartment’s miles of wiring harnesses, air and hydraulic lines, and cables that pass through the fuselage ribs; the high wing; the squat landing gear…. The rain is still coming in waves. Baker and Sandstrom grimace against the cold and button up the C-133. Sandstrom stows the forward crew ladder and closes the access panel. Both men give the Cargomaster a backward glance, then head inside. John Sotham is a former associate editor at Air & Space/Smithsonian. Further reading: Remembering an Unsung Giant: The Douglas C-133 Cargomaster and Its People, Cal Taylor, Firstfleet Publishers, 2007.